The Bixby letter is a brief, consoling message sent by President Abraham Lincoln in November 1864 to Lydia Parker Bixby, a widow living in Boston, Massachusetts, who was thought to have lost five sons in the Union Army during the American Civil War. Along with the Gettysburg Address and his second inaugural address, the letter has been praised as one of Lincoln's finest written works and is often reproduced in memorials, media, and print. Controversy surrounds the recipient, the fate of her sons, and the authorship of the letter. Bixby's character has been questioned (including rumored Confederate sympathies), at least two of her sons survived the war, and the letter was possibly written by Lincoln's assistant private secretary, John Hay. Lydia Parker married shoemaker Cromwell Bixby on September 26, 1826, in Hopkinton, Massachusetts. The couple had at least six sons and three daughters before Cromwell's death in 1854. Some time before the Civil War, Bixby and her family settled in Boston. On September 24, 1864, Massachusetts Adjutant General William Schouler wrote to Massachusetts Governor John Albion Andrew about a discharge request sent to the governor by Otis Newhall, the father of five Union soldiers. In the letter, Schouler recalled how, two years prior, they had helped a poor widow named Lydia Bixby to visit a son who was a patient at an Army hospital. About ten days earlier, Bixby had come to Schouler's office claiming that five of her sons had died fighting for the Union. Governor Andrew forwarded Newhall's request to the U.S. War Department with a note requesting that the president honor Bixby with a letter. In response to a War Department request of October 1, Schouler sent a messenger to Bixby's home six days later, asking for the names and units of her sons. He sent a report to the War Department on October 12, which was delivered to President Lincoln by Secretary of War Edwin Stanton sometime after October 28. On November 21, both the Boston Evening Traveller and the Boston Evening Transcript published an appeal by Schouler for contributions to assist soldiers' families at Thanksgiving which mentioned a widow who had lost five sons in the war. Schouler had some of the donations given to Bixby and then visited her home on Thanksgiving, November 24. The letter from the President arrived at Schouler's office the next morning. Private Arthur Edward Bixby (known as "Edward") – Company C, 1st Massachusetts Heavy Artillery (enlisted June 24, 1861). Deserted from Ft. Richardson, Virginia on May 28, 1862. Trying to secure a discharge for him, his mother filed an affidavit on October 17, 1862 which claimed Edward had enlisted underage without her permission. Born July 13, 1843 in Hopkinton, Massachusetts. Returned to Boston after the war. Sergeant Charles N. Bixby – Company D, 20th Massachusetts Infantry (served July 18, 1861 – May 3, 1863). Killed in action near Fredericksburg. Born c.1841 in Hopkinton, Massachusetts. Corporal Henry Cromwell Bixby – 1st enlistment, Company G, 20th Massachusetts Infantry (served July 18, 1861 – May 29, 1862). 2nd enlistment, Company K, 32nd Massachusetts Infantry (served August 5, 1862 – December 17, 1864). Captured at Gettysburg and sent to Richmond, Virginia. Paroled on March 7, 1864 at City Point, Virginia. Born March 30, 1830 in Hopkinton, Massachusetts. Died November 8, 1871 in Milford, Massachusetts, from tuberculosis he contracted while a soldier. Private Oliver Cromwell Bixby, Jr. – Company E, 58th Massachusetts Infantry (served February 26, 1864 – July 30, 1864). Wounded at Spotsylvania on May 12, 1864. Killed in action near Petersburg, Virginia. Born February 1, 1828 in Hopkinton, Massachusetts. Private George Way Bixby – Company B, 56th Massachusetts Infantry (served March 16, 1864 – ?). Enlisted under the name "George Way," apparently to conceal his enlistment from his wife. Captured at Petersburg on July 30, 1864. First held prisoner at Richmond but later transferred to Salisbury Prison in North Carolina, arriving there on October 9, 1864. His fate after that remains uncertain. Military records report conflicting accounts of him either dying at Salisbury or deserting to the Confederate Army. [b] Born June 22, 1836 in Hopkinton, Massachusetts. 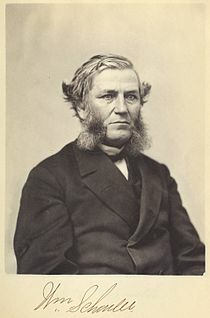 At the time of her September meeting with Schouler, Bixby's son George had been a prisoner of war for just over a month, and Henry was still hospitalized following his exchange. The War Department failed to use its own records to correct errors in the Schouler report. Lydia Bixby died in Boston on October 27, 1878, while a patient at Massachusetts General Hospital. In his initial letter to Governor Andrew, Schouler called Bixby "the best specimen of a true-hearted Union woman I have yet seen," but in the years following her death both her character and loyalty were questioned. Writing to her daughter in 1904, Boston socialite Sarah Cabot Wheelwright claimed she had met and had given charitable aid to Lydia Bixby during the war, hoping that one of her sons, in Boston on leave, might help deliver packages to Union prisoners of war; but she later heard gossip that Bixby "kept a house of ill-fame, was perfectly untrustworthy and as bad as she could be". In the 1920s, Lincoln scholar, William E Barton interviewed the oldest residents of Hopkinton, Massachusetts for their memories of Bixby's family before she moved to Boston. They recalled her sons as being "tough" with "some of them too fond of drink". One son may have "served a jail sentence for some misdemeanor". Lincoln sent a similar letter to Esther Stockton in January 1864, thanking her for knitting 300 pairs of socks for Union soldiers. The fate of the original letter given to Bixby is unknown. William A. Bixby, a son of Oliver, told The New York Times in an August 9, 1925 interview that he did not know what happened to the letter after his grandmother received it, though he doubted it still survived. A few days later, William's sister, Elizabeth told the Boston Herald that she also did not know the letter's fate but speculated Bixby may have torn it up, resenting that it incorrectly said five of her sons had been killed. William's son, Arthur March Bixby, told the New York Sun in 1949 that he recalled his father telling him that she had angrily destroyed the letter after receiving it. In the early 20th century, it was sometimes claimed that the original letter could be found on display at Brasenose College at the University of Oxford along with other great works in the English language. Lincoln scholar F. Lauriston Bullard investigated this claim in 1925, discovering that it was untrue and the college had never heard of the Bixby letter. Huber's Museum sold these copies of Tobin's facsimile. Christie's auction house receives many supposed original Bixby letters every year, including copies of a lithographic facsimile of the letter in widespread circulation. These first appeared in 1891, when New York City print dealer Michael F. Tobin applied for a copyright to sell souvenir copies of the letter with an engraving of Lincoln by John Chester Buttre for $2 each. Soon, Huber's Museum, a dime museum in Manhattan, began displaying a copy, "stained by coffee and exposure", of Tobin's facsimile as "the original Bixby letter" and selling their own copies for $1 each. Charles Hamilton, an autograph dealer and handwriting expert, examined the Tobin facsimile; concluding it had been copied from a poorly executed forgery originally written in pencil and retraced in ink to imitate Lincoln's handwriting, calling it "halting and awkward and makes his forceful hand appear like a child's scrawl". Tobin's facsimile also errs when compared to the original text of the letter published in Boston newspapers; adding the salutation "To Mrs Bixby, Boston Mass", misspelling the word "assuage" as "assauge", omitting the word "to" after the word "tendering", changing the plural "words" into "word", not capitalizing the words "freedom" and "republic", missing the recipient "Mrs. Bixby" on the bottom left, and combining the original three paragraphs into one. Huber's Museum corrected the spelling of "assuage" in their version of the facsimile. Scholars have debated whether the Bixby letter was written by Lincoln himself or by his assistant private secretary, John Hay. November 1864 was a busy month for Lincoln, possibly forcing him to delegate the task to Hay. Second- and third-hand recollections of acquaintances suggest Hay may have claimed to others that he wrote it, but his children could not recall him ever mentioning composing the letter. Writing to William E. Chandler in 1904, Hay said "the letter of Mr. Lincoln to Mrs. Bixby is genuine", but he may only have been referring to its text. In a 1917 letter to historian Isaac Markens, Robert Todd Lincoln said Hay had told him that he did not have "any special knowledge of the letter at the time" it was written. Historian Michael Burlingame, who believes Hay is the author, has pointed out that Hay's scrapbooks have two newspaper clippings of the letter while largely containing Hay's own writing. However, they also contain material written by Lincoln including the Gettysburg Address and the Second Inaugural. Scholars favoring Lincoln's authorship, including Edward Steers and Jason Emerson, note that the Gettysburg Address and the Farewell Address are similar examples of Lincoln's highly regarded style. Other scholars, such as Burlingame, have countered that Hay wrote pieces that compare favorably to the Bixby letter and note words and phrases in the letter that appear more frequently in Hay's writings than those of Lincoln. For instance, Burlingame notes the word beguile appears numerous times in the works of Hay and the phrase I cannot refrain from tendering is used by Hay in an 1864 letter to Quincy Gillmore, but neither appears once in the other collected works of Lincoln. Although, the phrase I cannot refrain from is used by Lincoln in an 1859 letter to Salmon P. Chase. 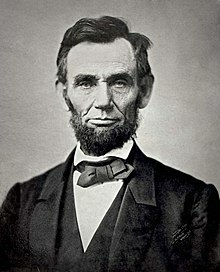 In 1988, at the request of investigator Joe Nickell, University of Kentucky professor of English Jean G. Pival studied the vocabulary, syntax, and other stylistic characteristics of the letter and concluded that it more closely resembled Lincoln's style of writing than Hay's. A computer analysis method used in a 2018 study by researchers at Aston University's Centre for Forensic Linguistics identified Hay as the letter's author. The letter's passage "the solemn pride that must be yours to have laid so costly a sacrifice upon the altar of freedom" is inscribed on the base of the statue of Lady Columbia at the National Memorial Cemetery of the Pacific in Hawaii. Discussions on the topic of siblings dying in war have frequently mentioned the letter; such as the Sullivan brothers, the Niland brothers, the Borgstrom brothers, and the Sole Survivor Policy of the United States military. In the 1998 war film Saving Private Ryan, General George Marshall (played by Harve Presnell) reads the Bixby letter to his officers before giving the order to find and send home Private James Francis Ryan after Ryan's three brothers died in battle. In a voiceover near the end of the film, Marshall quotes the Bixby letter in a letter to Mrs. Ryan. On September 11, 2011, former U.S. President George W. Bush read the Bixby letter during the memorial ceremony at the World Trade Center site on the tenth anniversary of the September 11 attacks. ^ The Transcript wrote the letter's date as "Nov. 21, 1864" while the Traveller wrote it as "21st November, 1864". ^ A "George Bixby, nephew of Cuba" is also mentioned in an 1878 estate record of Albert Bixby, an uncle who died in Milford, Massachusetts. However, this George was not included on the estate's list of surviving heirs of Cromwell Bixby. Milford relatives later admitted confusing Lydia Bixby's sons with cousins having the same name. ^ Lydia Bixby's own 1878 death record listed her birthplace as Hopkinton, Massachusetts, but census records and death records of surviving children listed her birthplace as Rhode Island. ^ a b "Letter from President Lincoln". Boston Evening Transcript. 25 November 1864. p. 2. Retrieved 6 April 2016 – via Google Newspapers. 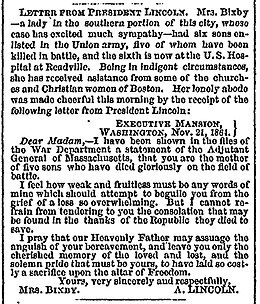 ^ a b c d "A Mother in Israel - Five of Her Sons Killed during the War - A Sixth Severely Wounded - President Lincoln Sends her the Thanks of the Republic". Boston Evening Traveller (2nd ed.). 25 November 1864. p. 2. ^ Bullard 1946, pp. 50–51. ^ a b c Bixby & Putnam 1914, pp. 387–389. ^ Bullard 1946, pp. 13–17. ^ Bullard 1946, pp. 18–21. ^ Steers & Holzer 2007, pp. 94–95. ^ "Thanksgiving Day - An Appeal in Behalf of Soldiers' Families". Boston Evening Traveller. 21 November 1864. p. 2. ^ Barton 1926, pp. 40-43. ^ Bullard 1946, p. 46. ^ a b Massachusetts Adjutant General Office (1932). Massachusetts Soldiers, Sailors, and Marines in the Civil War: Volume V. Norwood, Massachusetts: Norwood Press. pp. 22, 576. ^ Bullard 1946, pp. 32–34. ^ a b c Bixby & Putnam 1914, p. 388. ^ a b Bullard 1946, p. 29. ^ a b Massachusetts Adjutant General Office (1931). Massachusetts Soldiers, Sailors and Marines in the Civil War: Volume II. Norwood, Massachusetts: Norwood Press. pp. 523, 549. ^ Bixby & Putnam 1914, p. 392. ^ Massachusetts Adjutant General Office (1932). Massachusetts Soldiers and Sailors in the Civil War: Volume III. Norwood, Massachusetts: Norwood Press. p. 520. ^ a b Bixby & Putnam 1914, p. 387. ^ "A Case of Destitution". Boston Daily Globe. 4 April 1874. p. 7. ^ Banning 1922, p. 519. ^ Bullard 1946, pp. 28–32. ^ Steers & Holzer 2007, p. 97. ^ Bullard 1946, pp. 32–33. ^ Bullard 1946, p. 22. ^ Bullard 1946, pp. 46–47. ^ Steers & Holzer 2007, pp. 95–97. ^ Bullard 1946, p. 16. ^ Giesberg, Judith (28 November 2014). "In defense of Boston's Widow Bixby". The Boston Globe. Retrieved 11 January 2016. ^ Bullard 1946, pp. 48–49. ^ Burlingame 1995, pp. 60–61. ^ Barton 1926, pp. 79–80. ^ Bullard 1946, pp. 45. ^ a b "MRS. BIXBY TORE UP LINCOLN NOTE KIN BELIEVES Heart in Southern Cause, Her Granddaughter Declares EMBITTERED, TOO, BY DEATH OF SONS President's Error May Have Angered Her, Lawrence Woman Avers". The Boston Herald (Morning ed.). 12 August 1925. p. 1. ^ Burlingame 1995, pp. 60, n8. ^ "GRANDSON BELIEVES BIXBY LETTER LOST; Declares His Grandmother Would Not Realize the Value of Lincoln's Message. RELATIVES ARE UNCERTAIN But One Says He Is Sure Five of Mrs. Bixby's Sons Were Killed". The New York Times. 9 August 1925. Retrieved 11 December 2015. ^ Burlingame 1995, p. 60. ^ a b Burlingame, Michael (July–August 1999). "The Trouble With the Bixby Letter". American Heritage. 50 (4). Archived from the original on 14 February 2016. ^ Peterson, Merrill D. (1995). "Ch. 5 Themes and Variations". Lincoln in American Memory. Oxford University Press US. p. 246. ISBN 0-19-509645-2. Retrieved 2009-07-13. ^ Burke, Monte (February 11, 2009). "Lincoln's Lost Memorabilia". Forbes. Retrieved October 4, 2010. ^ Steers & Holzer 2007, pp. 96, 98. ^ "Letter from Abraham Lincoln to Mrs. Bixby, with bust-length portrait of Lincoln". Library of Congress. Retrieved 26 July 2016. ^ Bullard 1946, pp. 54–58. ^ Banning 1922, p. 520. ^ Hamilton, Charles (1980). Great Forgers and Famous Fakes. New York: Crown Publishers. pp. 29–37. ^ Bullard 1946, pp. 146–147. ^ Basler, Roy P. (1953). Abraham Lincoln to Mrs. Lydia Bixby. Collected Works of Abraham Lincoln Vol. 8. New Brunswick, New Jersey: Rutgers University Press. pp. 116–117. ^ Emerson 2008, p. 108. ^ a b c Emerson, Jason (February–March 2006). "America's Most Famous Letter". American Heritage. 57 (1). Archived from the original on 1 April 2016. ^ Steers & Holzer 2007, pp. 98-100. ^ Bullard 1946, p. 109. ^ Bullard 1946, pp. 122–125. ^ Burlingame 1995, p. 69. ^ Emerson 2008, pp. 104-106. ^ Emerson, Jason (2012). Giant in the Shadows: The Life of Robert T. Lincoln. Carbondale, Illinois: Southern Illinois University Press. pp. 376, 537. ^ Burlingame 1995, pp. 70–71. ^ Steers & Holzer 2007, p. 93. ^ Burlingame 2000, pp. 169–184. ^ Burlingame 2000, pp. 86, 169–184. ^ Basler, Roy P. (1953). "Letter to Salmon P. Chase, 21 Sept. 1859". Collected Works of Abraham Lincoln. Volume 3. Archived from the original on 26 March 2018. Retrieved 26 March 2018. ^ Nickell 1989, pp. 137–140. ^ Nickell, Joe (2005). "Suspect Documents". Unsolved History: Investigating Mysteries of the Past. University Press of Kentucky. pp. 95–105, 164. ISBN 978-0-8131-9137-9. Retrieved 2009-07-14. ^ Grieve, Jack; Clarke, Isobelle; Chiang, Emily; Gideon, Hannah; Heini, Annina; Nini, Andrea; Waibel, Emily (26 October 2018). "Attributing the Bixby letter using n-gram tracing". Digital Scholarship in the Humanities. doi:10.1093/llc/fqy042. ^ "67th Honolulu Mayor's Memorial Day Ceremony". www.pacom.mil. 31 May 2016. Archived from the original on 23 June 2016. ^ Kodat, Catherine Gunther (2003). Hixson, Walter L. (ed.). "Saving Private Property: Steven Spielberg's American DreamWorks". The American Experience in World War II. New York: Routledge. 11: Remembering and Representing the Second World War: 255–256. ^ Washington, Ellis (2017). The Progressive Revolution: History of Liberal Fascism through the Ages, Vol. V: 2014-2015 Writings. Lanham, Maryland: Hamilton Books. pp. 191–194. ISBN 9780761868507. ^ Landler, Mark; Schmitt, Eric (September 11, 2011). "Bush and Obama, Shoulder to Shoulder". The New York Times. Banning, Kendall (February 1922). "The Case of Lydia Bixby". The Bookman. George H. Doran Company (Vol. 54 No. 6): 516–520. Barton, William E. (1926). A Beautiful Blunder: The True Story of Lincoln's Letter to Mrs. Lydia A. Bixby. Indianapolis: The Bobbs-Merrill Company. Bixby, Willard Goldthwaite; Putnam, Eben (1914). A Genealogy of the Descendants of Joseph Bixby 1621-1701 of Ipswich and Boxford Massachusetts. Brooklyn, New York. pp. 387–394. Bullard, F. Lauriston (1946). Abraham Lincoln and the Widow Bixby. New Brunswick: Rutgers University Press. Burlingame, Michael (2000). At Lincoln's Side: John Hay's Civil War Correspondence and Selected Writings. Carbondale, Illinois: Southern Illinois University Press. ISBN 9780809384761. Burlingame, Michael (Winter 1995). "New Light on the Bixby Letter". Journal of the Abraham Lincoln Association. 16 (1): 59–71. Archived from the original on 26 December 2015. Emerson, Jason (Summer 2008). "New Evidence From an Ignored Voice: Robert Todd Lincoln and the Authorship of the Bixby Letter". Lincoln Herald. 110 (2): 86–116. Nickell, Joe (Winter 1989). "Lincoln's Bixby Letter: A Study in Authenticity". Lincoln Herald. 91 (4): 135–140. Nieters, Joshua (21 July 2018). "The Widow Bixby: Figuring out the legacy of the Civil War's most famous mother". Baltimore Post Examiner. Archived from the original on 23 July 2018. Shattuck, George C. (1963). "Sarah Cabot Wheelwright's Account of the Widow Bixby". Proceedings of the Massachusetts Historical Society. Third Series. 75: 107–108. JSTOR 25080574. Steers, Edward; Holzer, Harold (2007). Lincoln Legends: Myths, Hoaxes, and Confabulations Associated with Our Greatest President. Lexington: University Press of Kentucky. ISBN 0-8131-2466-2. Statement by Brasenose College denying they have the original Bixby letter.